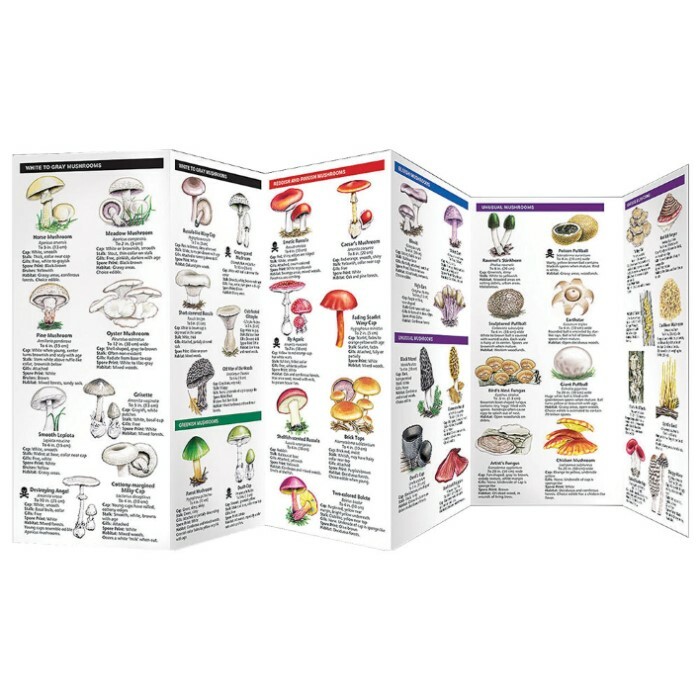 Mushrooms Folding Pocket Guide | BUDK.com - Knives & Swords At The Lowest Prices! When foraging for wild mushrooms, it is critical to be able to positively identify edible and poisonous species. 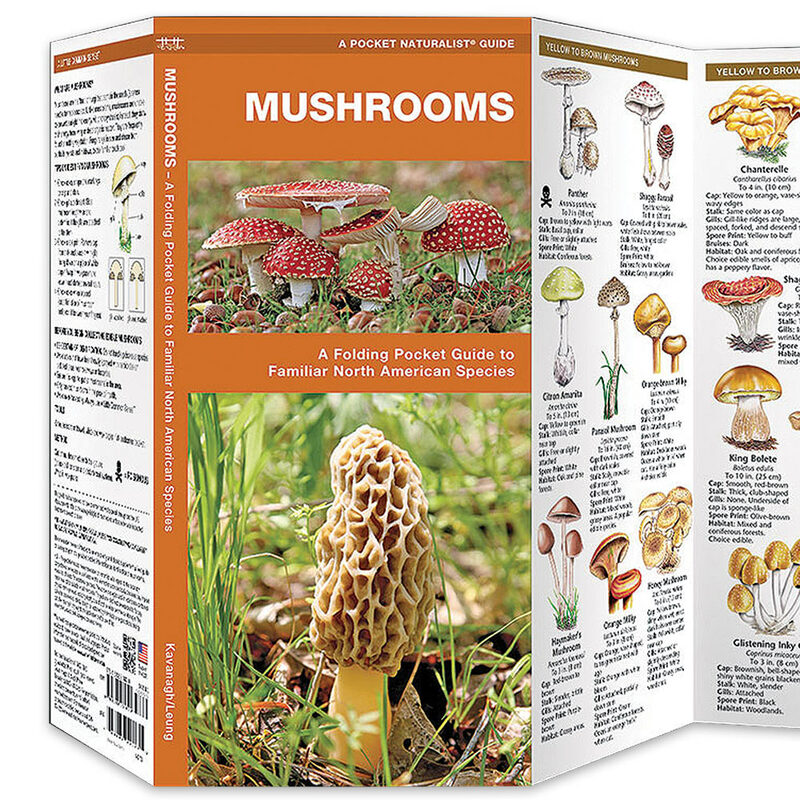 Mushrooms is your guide to familiar, widespread North American species. 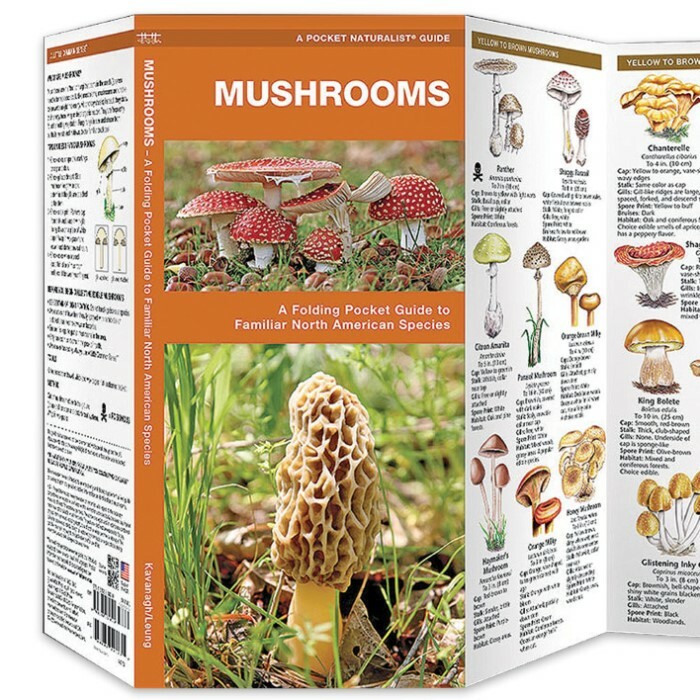 This beautifully illustrated pocket guide highlights over 60 familiar edible and 14 poisonous species and includes tips on identifying and harvesting wild mushrooms. Laminated for durability, this lightweight, pocket-sized folding guide is an excellent source of portable information and ideal for field use by visitors and residents alike.